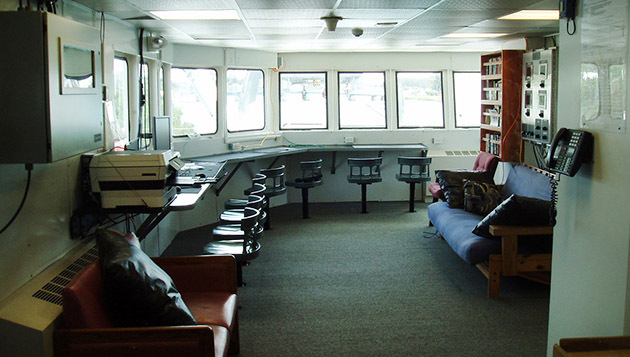 Aft view on the R/V Atlantic Explorer. 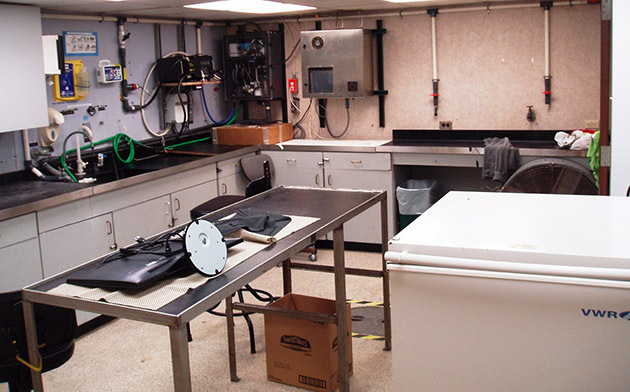 Shared use UNOLS isotope lab van. 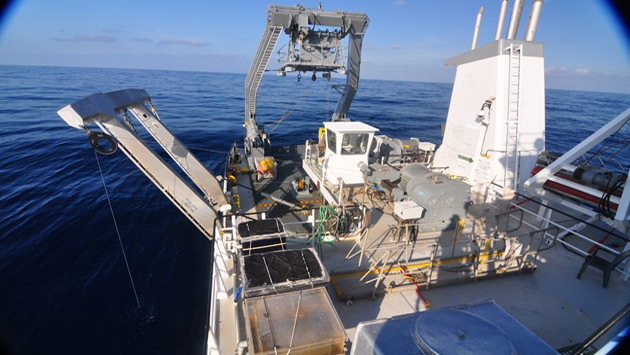 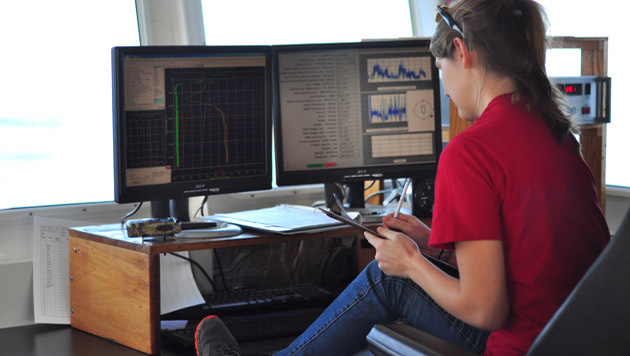 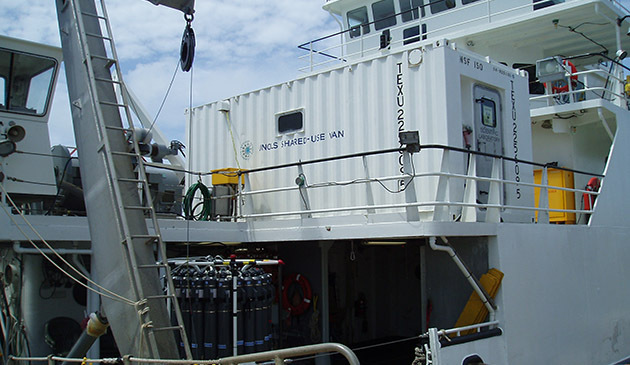 The R/V Atlantic Explorer is owned and operated by the Bermuda Institute of Ocean Sciences (BIOS) in compliance with U.S. Coast Guard, UNOLS, and American Bureau of Shipping (ABS) regulations as an uninspected research vessel. 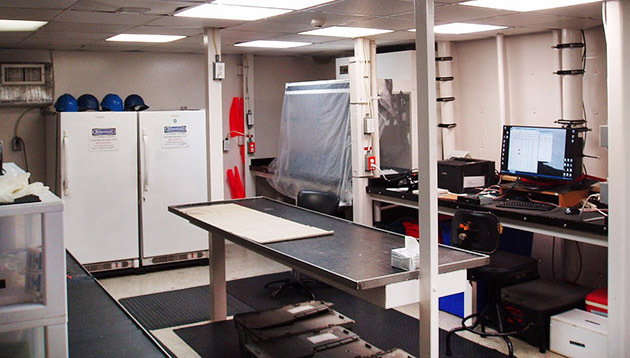 View all of the R/V Atlantic Explorer's features by viewing the general arrangement drawings diagram. 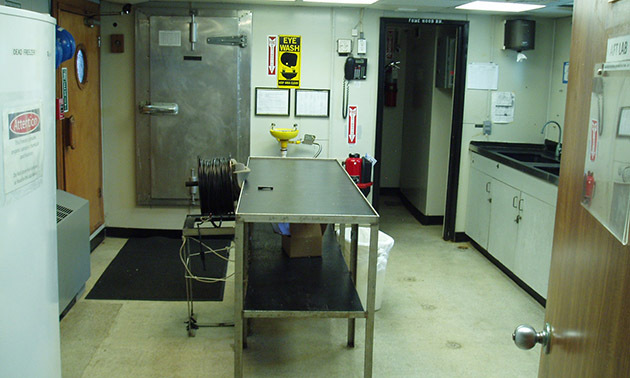 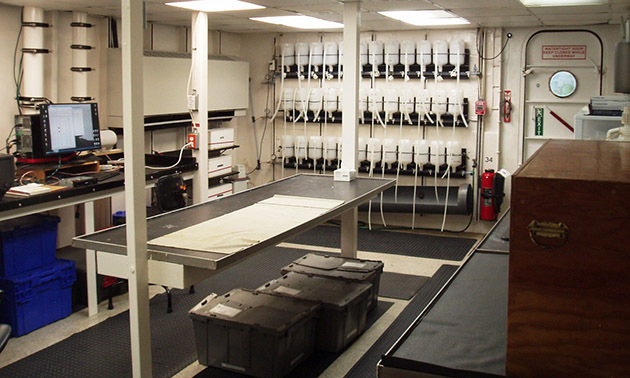 Click here for detailed ship specifications. 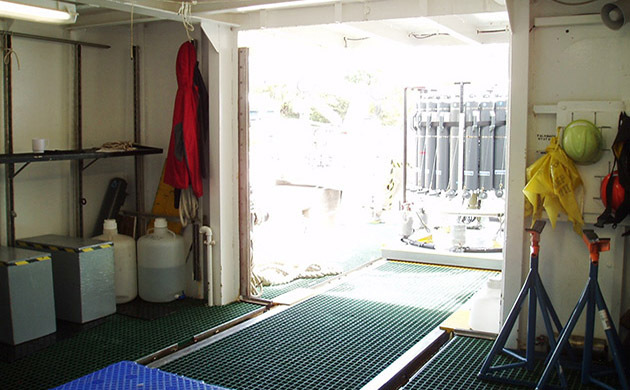 CTD Winch Model: MARKEY DUSH - 5 Research Winch, 10,000 m of .322" CTD cable with 4-channel Slip Ring.